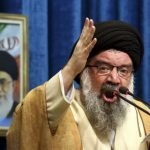 A senior cleric within the Iranian regime has confirmed that the Iranian regime has “the formula for creating a nuclear bomb.” Ahmad Khatami told a crowd gathered in Mashhad for the morning ceremony that although “Iran never had the intention to build an atomic bomb,” it has the necessary knowledge to do so. Previous research carried out by the Iranian opposition, namely the People’s Mujahedin Organisation of Iran (MEK) revealed that the regime has developed the capabilities of enriching Uranium to 20%. It is, therefore, not inconceivable that the regime would be able to expand this process to increase enrichment to 90%. The head of the International Atomic Energy Agency (IAEA) echoed these findings. Yukiya Amano revealed in 2017 that the Iranian regime had dedicated resources to the development of nuclear weapons between 2003 and 2009. The Iranian nuclear deal negotiated under President Obama made the cessation of Iran’s nuclear development a precondition of the agreement. However, the MEK and the Iranian opposition has frequently raised concerns over the regime’s compliance, a sentiment echoed by US President Donald Trump. In 2003, the Iranian opposition revealed the full extent of Iran’s nuclear program. Given the level of commitment and determination the regime displayed towards its nuclear ambitions, it is inconceivable that it would simply end its nuclear program once the JCPOA was negotiated. Khatami has previously spoken out about US and European attempts to limit Iran’s nuclear ambitions. In February, he noted that the US had curtailed the regime’s nuclear development and forced it to rely on its missiles instead. Following President Trump’s withdrawal from the Iran nuclear deal, the US re-imposed strict economic sanctions on the Islamic Republic. These have further constricted the regime’s already spiraling economy, which is driving anti-regime protests across Iran. 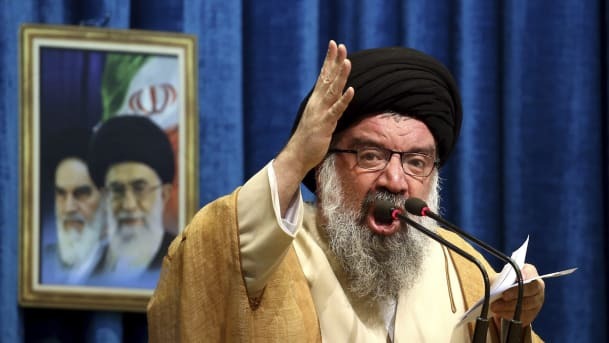 Khatami has previously admitted that the US sanctions are fuelling civic unrest in Iran and boosting the opposition movement. After decades of corruption and misspending Iran’s finances on missile development, proxy wars in the region, and international terror activities, it’s time for the European Union to take a firm position in its policies towards Iran, and condition any trades with the regime to a halt on its missile program and an end to the terror and executions at home and abroad.